As you venture into the world of planned giving, there’s a lot to consider. Defining what your program will look like starts with your launch. During the early phases of your program and the ongoing process of running it, you’ll be looking for ways to optimize your efforts. Look no further than this page. Let these 15 planned giving best practices lead the way. Like with any fundraising program, you’ll need a strong team. If your organization can afford to do so, it is recommended that you hire a planned gifts officer. Even if you cannot hire someone solely for the role, at least have a member of your development staff take the lead. In the early stages in particular, you’ll need one person to guide your efforts, and a complete team to make those planned giving dreams a reality. An advisory committee, like your in-house team will be working to make the most of your program. The committee should be composed of people with outside knowledge that would be particularly helpful with a planned giving program. Organizations running planned giving programs have to be able to handle the financial and legal questions and implications associated with the gifts. Put together an advisory committee with lawyers, financial planners, realtors, and other people who would bring much needed expertise. Branding your program is good for the donors and good for your organization. The donors get added perks that come with exclusive giving clubs. And, your organization has an incentive for supporters to make their planned giving plans known. When your nonprofit knows about those donors, your staff can better correspond with and assist them. Offer special communications and opportunities for members and name the program. The term legacy is commonly used in conjunction with these programs, like the Legacy Giving Club, for example. Planned giving needs to be presented as the premiere donation option that it is. Your program will be much more effective, much sooner if your team goes out of its way to solicit planned gifts from top candidates. Just like you would approach certain supporters for major giving over others, you can do the same for planned giving. Planned giving donors are identifiable by a collection of traits. The two most important of which are loyalty and age. Head over to our identifying prospects article to learn about the many factors that go into determining a prospect’s likelihood of leaving a planned gift. Although by definition, planned giving is simply making an arrangement for a future gift in the present, planned gifts are usually allocated after the death of the donor, per that donor’s wishes as detailed in a will or trust. With that in mind, most younger donors are not thinking about their wills or their legacies. Donors who are setting up their wills will be the most receptive to any planned giving promotions. Donors will want to participate in a thriving program. They’ll be far less interested in being the first members of your planned giving club. To get the program growing and thriving, go to your board members first. 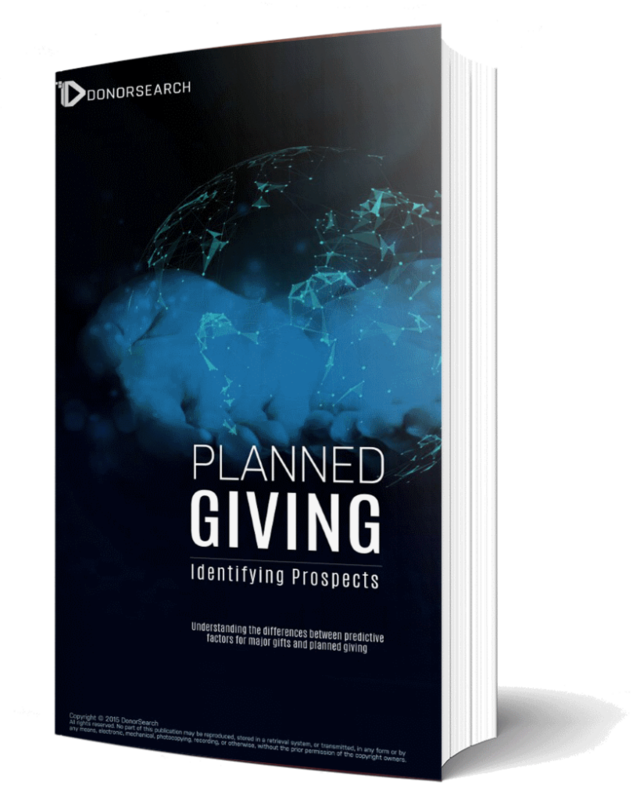 Your board members will likely have many of the identifiable traits of planned giving prospects. Plus, as a part of your organization, they’ll better understand the program. While your team is still solidifying its planned giving strategy and finessing the best approach, beginning with board members is a way to ease into the process. Planned giving can get complicated when you start to delve into the various forms of donating, like charitable remainder trusts and charitable gift annuities. Soften your entrance into the world by starting with the simplest form of planned giving, bequests. Bequests are straightforward gifts left in wills. Once you’ve mastered the art of handling bequests, from marketing for them to receiving them, move on to more complex types of gift. Especially if you’re a smaller nonprofit on a tighter budget, bequests are the best point of planned giving entry. Find ways to work planned giving into the conversation. If this is a new fundraising method for your organization, it is also likely relatively unknown to your donor population. Help get them up to speed with consistent communication about the topic and your program. Once a donor has announced his or her planned giving intentions and joined your branded club, that donor should continue to receive communications. Those communications will just be of a different nature. Planned giving donors should receive less educational content and more acknowledgement and update-based communications. Developing marketing materials for your new planned giving program from scratch can feel daunting. Start by incorporating planned giving promotions into your pre-existing marketing materials. You’ll still have to build out the copy that you’re going to use, but you surely already have communications outlets that you can insert planned giving into. For instance, include a blurb about planned giving in your email newsletters and add planned giving to the “ways to give” page on your website. With those in place, you’ll want to develop planned giving-specific materials, like a brochure and an informational page on your website. If you want your program to stand out, you’ll need to find inventive, and sometimes quirky, ways to promote the planned giving options. This best practice can mean a variety of things. You could try adding a “did you know” box at the bottom of a direct mail letter. Or, you could add verbiage about planned giving in your staff’s email signatures. This all comes down to finding creative ways to diversify how your network is discovering planned giving. 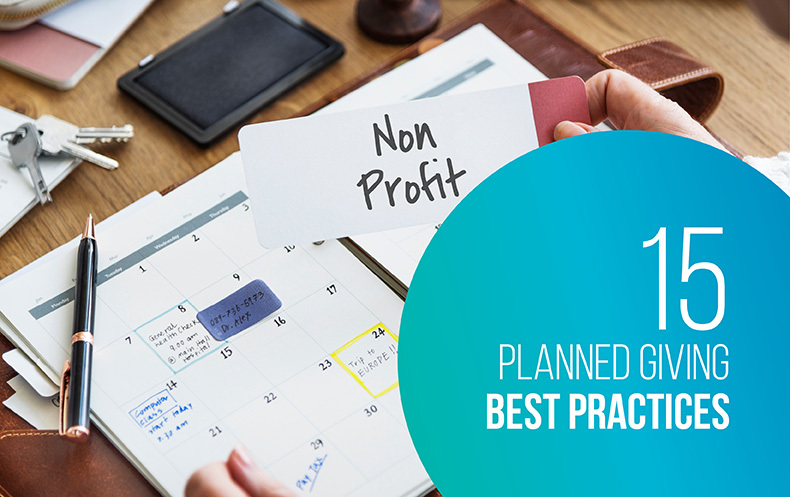 If it takes research and training to get your staff prepared to run a planned giving program, your supporters are going to need similar educational opportunities as well. Plan an educational event about planned giving to teach your donors about the option. Build your guest list from your top prospects. Ask members of your advisory committee or other experts in the fields involved with planned giving to speak. Remember to keep the event focused on mission and impact. Your discussion can quickly derail into various planned giving technicalities, so always steer back by re-centering on why you’re pursuing planned gifts in the first place. Planned gifts are future gifts, far into the future gifts. People considering donating need to be able to trust that your organization will still be in its current state or stronger when their gift is actually given. You can share your future plans and your past growth history with donors to demonstrate the longevity of your nonprofit and its service impact. People considering leaving a planned gift like to hear from those who have already made the decision. Ask your current planned giving donors to explain why they chose to allocate a planned gift and why they chose your nonprofit. Supporters will connect better with the personal stories of donors who were in their shoes. Storytelling is a major force in nonprofit marketing for a reason. People are going to have questions about this program, so your communications should account for that curiosity. If you send out a direct mail letter, include a self-addressed postcard for a supporter to fill out to request further information. When making planned giving asks to your most involved donors, begin by starting a dialogue about the subject over a series of calls or lunch meetings. With a sometimes complex topic, any ask has to be preceded by information. The best way to share your knowledge of planned giving is through an open dialogue. Donors leaving a gift of such magnitude will want to know what their money will be doing. They deserve the assurance that comes with helping decide how their funds will be allocated. Make sure that your organization has more specific allocation options than the operating fund. Donors will appreciate the transparency. If these 15 best practices have not satisfied your planned giving appetite, check out our complete guide on the topic.